This is a great salmon for any occasion. Of course, it goes really well with a nice vodka martini. You can either have this dish "as is" or mix it with your favorite herbs, spices, and cream cheese to make a smoked salmon dip. Prepare the charcoal grill for indirect cooking over hickory or alder wood chips. Wash salmon and pat dry. Fill with dill and lemon slices and set fish aside. Place remaining ingredients in small saucepan and bring to a boil. Remove from heat and set mixture aside. 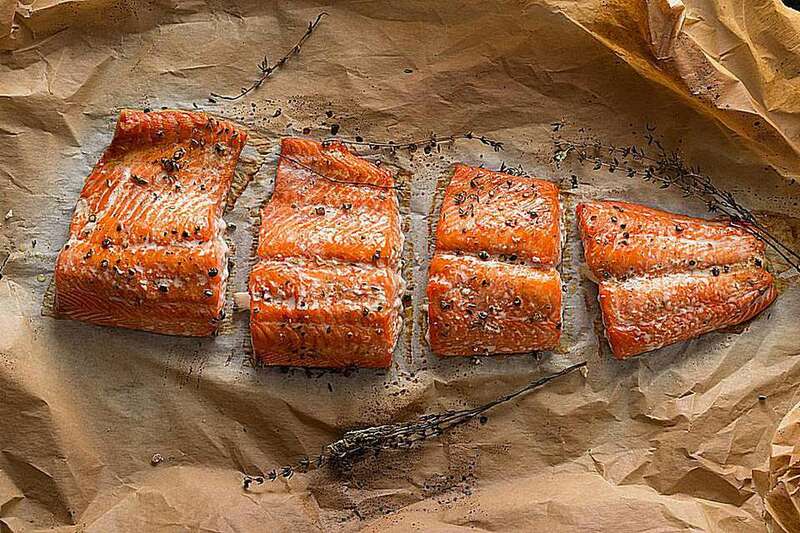 Lay salmon on a large piece of aluminum foil. Close three of the sides, pour in basting sauce and fold over the fourth edge. Place salmon on grill over a drip pan and allow to cook on low heat (about 225 degrees F/10 degrees C) for 2 hours. Open one side of the foil and let salmon cook for an additional hour.